Harbortouch POS system is the perfect tool that will revolutionize your business.The Best POS System ideal for mid-sized to large restaurants & bars. We purchase a set dollar amount of your business’s future credit/debit sales at a discounted price, we pay you this price in a lump sum cash funding. Your future payments vary based upon your future sales volume— so payments are cash flow friendly! Your future payments are fixed so you can plan your future cash flow. If you have a history of credit card acceptance, then a Merchant Cash Advance may be just what you need. Your history of credit card volume is used to determine the amount of funds that can be advanced. A Merchant Cash Advance requires a minimal operating history and the lowest possible credit requirements. Your payments fluctuate, and are dependent upon the amount of your future credit card sales. The amount that you pay is either collected directly through the daily deposits of your merchant processing account or collected by daily ACH debit to your bank account. This solution is ideal for the stronger credit profile, and business with strong consistent cash flow that desires a fixed payment structure. Additionally, the funding amount is not limited by your credit card processing volume. If you have at least 9 months operating history in your business, and prefer a fixed payment structure, then let us quote you a Small Business Loan. Funding time is still about 3 days after submission of your complete application package! Been in business for more than 6 months? At least $10,000 in gross sales per month? You have found the right company Merchant Capital Source. Fast, Friendly, Very Fair! This is the group you will use for all your funding needs. Thank you for the Great service! Merchant Capital! Is always there when my business needed the most, I been working with them for several years, costumer service is excellent either English or Spanish spoken languages. Valuable service, friendly team, helped us a bunch! Our small business got a big order, that was the good news. Bad news, we needed $50K in cash to buy the raw materials needed to fill the big order. Was referred by our merchant processor, My Moolah. Great service, and we will likely use Merchant Capital Source again! Friendly, courteous, and professional staff. Working with the personnel at Merchant Capital Source is always a pleasant experience. The employees are very knowledgable and take the extra step to to resolve any situation. I would recommend MCS to anyone. Very profesional and friendly staff. I was funded in three days. Such an easy process they provided the money needed to expand my business. Loan Solutions done Quick, Accurately, and RIGHT!!! I called Merchant Capital in Oct. in search of finding an avenue to help fund my business expansion. My business was in a stranglehold because it needed to grow to meet the rising demand but my finances had not caught up with the business yet. Mike Rocco listened to my situation and took the time to ask the necessary questions for him to understand where my business was at and where it needed to go. The solutions Mike developed were ingenious and of sound fiscal planning. The road that brought me to Merchants was a long and bumpy one because my business does not fit into a standard model, so I had many a door shut on me; Mike understood this and presented a plan of action tailored to my business. Thanks again Mike; and Merchant Capital Source. They've helped me over the years get over some hurdles in our business. I higly recommend them......easy to work with and very professionnal!! Once you have done business with MCS, you gain a partner. 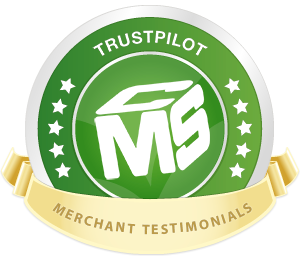 Since the first transaction we did with MCS, we knew we would do many more. MCS was friendly and informative. We knew exactly what all of the details of the transactions consisted of. Their team is always accessible and attentive. What they say is what they do! Over the years, we have developed a very beneficial relationship. They have been flexible and go the extra mile to accommodate us. Their already efficient process is even more so on new transactions, making the process a breeze. They have enabled us to grow our business unlike any other institutions. Banks don't even come close. MCS is literally just a phone call away, like a true business partner. Thanks MCS! MCS has trusted in us and we trust them. This trust is why we would recommend MCS to our friends and family in a heartbeat. If you need fast cash, and your credit is less than perfect, this is your answer. It's expensive money, but no different than a credit card. Merchant Capital Source was very quick and responsive and helpfu. When I needed their help to get some additional capital, they were very understanding and willing to work with our situation. Great partners for working capitol for my restaurant! i have been dealing with Merchant Capital for almost two years and have had no issues. I get funded quickly and would refer them to anyone in need of capital for their business. When we needed help, Merchant Capital Source was there for us. Anytime I need money they are there with great fast service. I love this company! From start to finish, they give superior service. I am in my second year of a relationship with this company and would recommend them to anyone seeking financing! Ashley Logan has gone above and beyond for my company- the great part is everyone is great at this company. They are a huge part of my success! Thanks to them all. Expensive financing but if necessary a great option for anyone that cannot get traditional financing. I would not want to have to do it but they helped keep me open during those early years and I would go to them again in a bind. NO! There is no cost or obligation associated with submitting the application and accompanying information. Once submitted we will provide you a proposal for funding and you can make the best decision for your business. What can the merchant cash advance be used for? Merchant Capital Source places no restrictions on how you choose to use the cash. Common uses include the purchase of inventory, purchase of equipment, remodeling, expansion, advertising, payoff debt and taxes. I have a merchant cash advance (or loan) with another company, can MCS replace that arrangement and offer me more money? We often offer larger advances, and loans, at better terms then our competitors and will pay off your existing advance if it is in your business’s best interest. Contact us and find out how much you are qualified to receive – please have your current balance from your current provider available when you call. What if I already have a business loan? Our product is an advance, not a loan. As long as you qualify and meet our requirements we can provide you the cash very quickly without affecting your other obligations. Whether you have a secured business loan, a bad credit business loans or unsecured small business loans we can still work with you. Furthermore, because our obligation does not appear on your credit report as a trade line we do not encumber you and your business from receiving a loan once we are in place. We work seamlessly with your credit card processor, or set you up on an ACH payment system, to take a small percentage of your daily Visa/Mastercard sales. There are no payment coupons, late fees or prepayment penalties. If you have been in business more than 6 months, then we can most likely qualify the business for financing. Submit an application today to get the process started. We purchase a set dollar amount of your future Visa/Mastercard sales at a discount, in exchange we pay you cash today. Then, through an automated process, we seamlessly collect the set dollar amount by taking a small percentage from each of your future Visa/Mastercard sales. Our merchant cash advances are a terrific alternative to those who have been unsuccessful in obtaining business loans. Why is MCS the most flexible option available to manage my cash flow needs? We are not a traditional source of financing! No hoops to jump through, no tax returns, no personal liens, no cumbersome fixed loan repayments keeping you up at night and no bankers saying “no.“ Unlike traditional loans, there are no fixed payments to worry about. We simply buy a portion of your future Visa/Mastercard receipts; in exchange we pay you cash today and, here is the best part, we only get paid as quickly as your business allows. In other words, the amount that you pay MCS each month is determined by how well your business performs. We are true partners in your success. How long does it take to get approved for funding? Merchant Capital Source approves applications within 24 hours and funds within 5 business days. Unlike banks and finance companies; that may take weeks to obtain or even receive an answer, we work quickly to get you the cash you need. How do I know how much I have left to pay? We send you a monthly statement. You can also track your payments through our secure merchant web login. | Powered by Merchant Capital Source. All contents © 2015 Merchant Funding Company. All rights reserved. No Non-Sense Fast Business Capital. Get approved today and have money in your account in 3 to 4 days! MFC is faster and more flexible than the bank. With an A+ BBB rating & 10 year history, we're a direct lender, not a broker, you can trust.